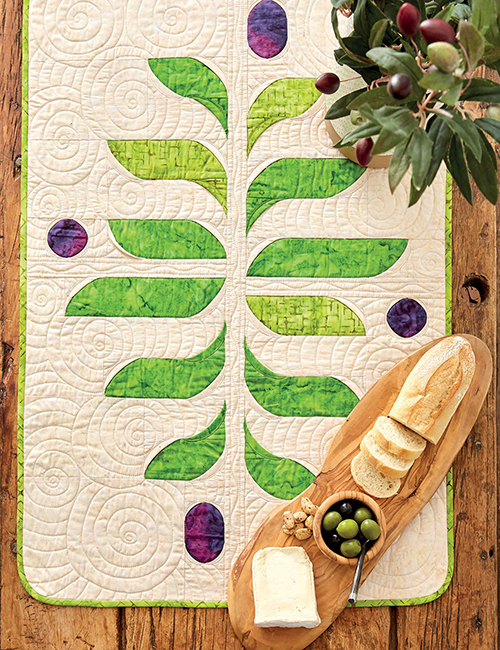 Fun and easy techniques range from traditional patchwork and fusible applique to stitch-and-flip triangles and dimensional curves. 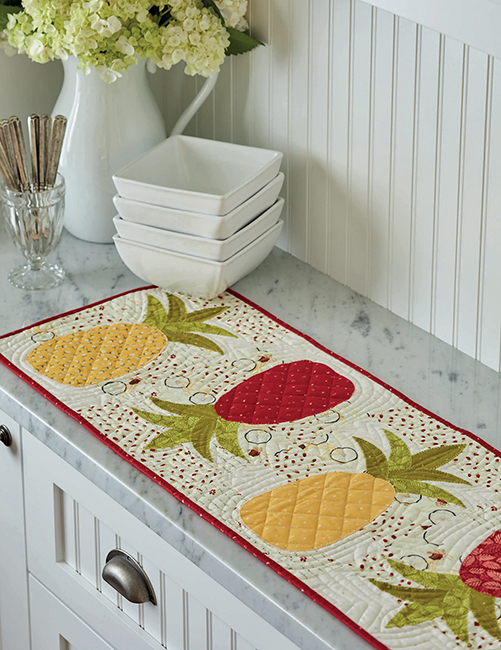 Get double the enjoyment when you use these beautiful pieces as wall hangings or as accents to drape on other kinds of "table" tops, such as dressers, bookshelves, hutches, and cabinet doors. 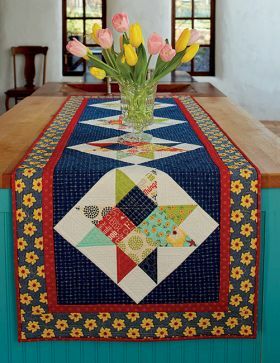 The featured table runners are fast to make (think of them as 13 opportunities to use your orphan blocks and leftover fabrics) and look so pretty! The instructions are very clear with step-by-step diagrams to help construction regardless of the technique required. Great ideas whether you like traditional or more modern designs and most projects can be made into bed runners and wall hangings. Love it! 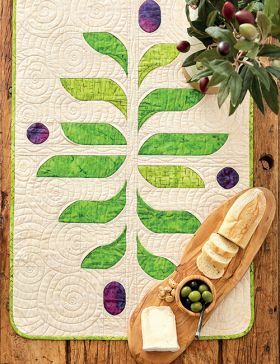 What a beautiful book! And who doesn’t love a table runner to enhance their table setting? 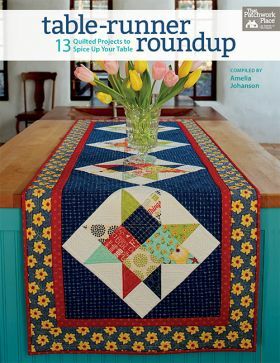 Each project in this book has concise instructions with beautiful photos, making it a breeze to complete any of these gorgeous projects. 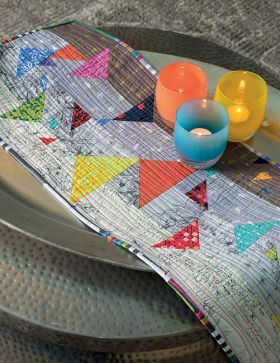 I absolutely love Hightail by Kim Lapacek, this table runner really pops with its scraps of colour against a low volume background. Well done to all the wonderful contributors to this book, I can see many table runners in my future! 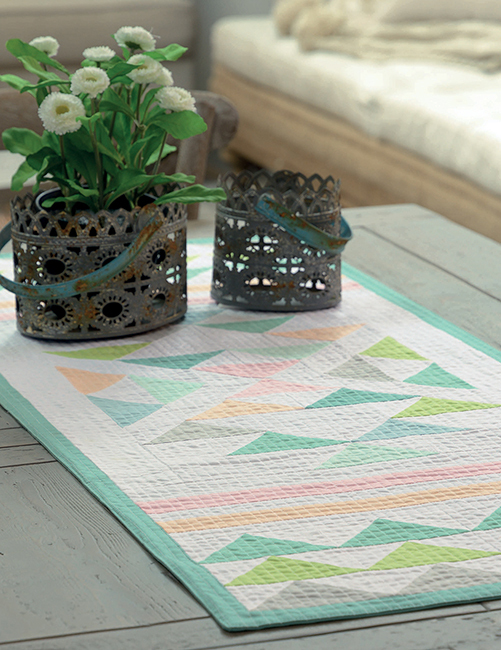 What a fantastic variety of table runners to suit just about any decor, whether traditional, modern, bright and colourful or simple and stylish. Very clear, easy patterns to follow with helpful illustrations to assist anyone from beginners right through to the more competent. It's a book that I'm sure to use time and time again. 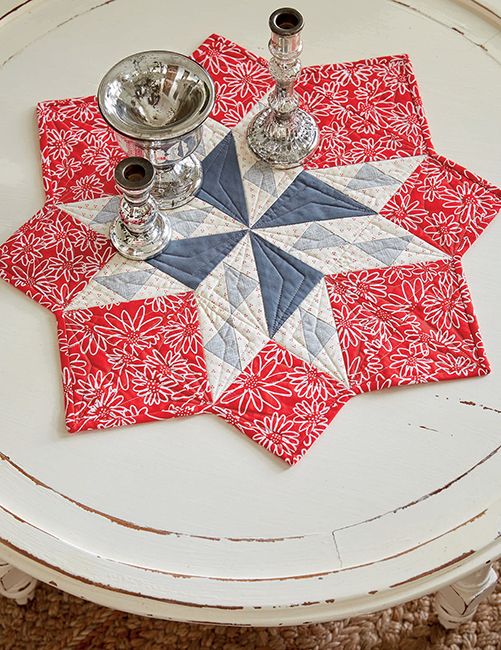 I was really impressed with the variety of projects that ranged from modern to traditional. A special shout out to Jane Davidson's project with a table runner that can be separated into placemats. 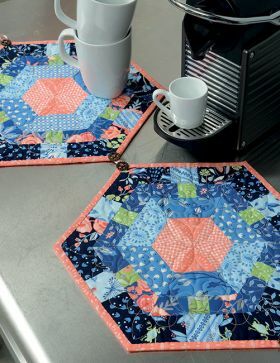 The projects are all very achievable given the clear instructions and hint boxes along the way and give you opportunities to practice new techniques without diving into full quilts. 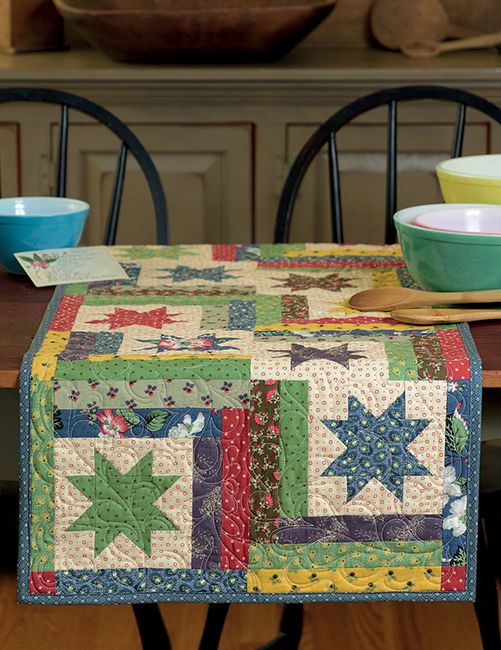 This is a wonderful quilt book with beautiful, fast and easy table runners to make. 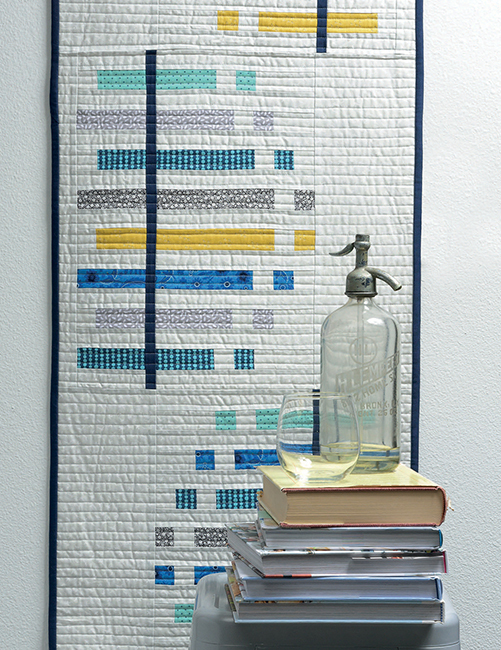 Color diagrams along with hints and tips make this a book you'll want to add to your collection and use over and over. 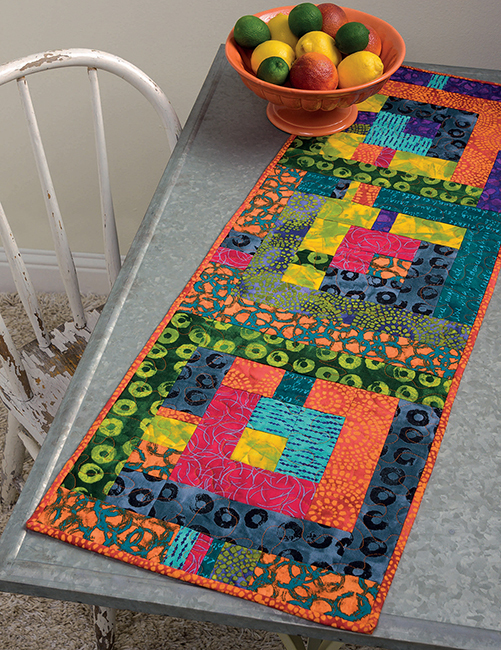 You'll learn many different techniques for your patchwork table runner projects. 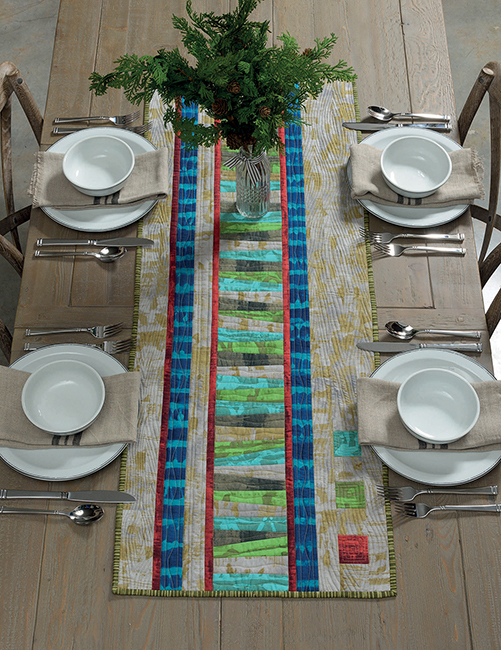 Table-Runner Roundup is a good collection of contemporary, modern and traditional with a twist patterns. I especially liked the detachable hexagons by Jane Davidson – what a brilliant idea to make a table runner that can also be placemats. I also liked the modern table runners which were truly modern, not just traditional made in bold fabrics. I found the instructions clear and concise, with good illustrations of each step. The photographs also showed the quilting clearly, which many books fail to do. I think one of the best things about this book is how it shows stunning designs which look complex but in fact are easy for even beginners to sew. Lovely compilation of table-runner projects. 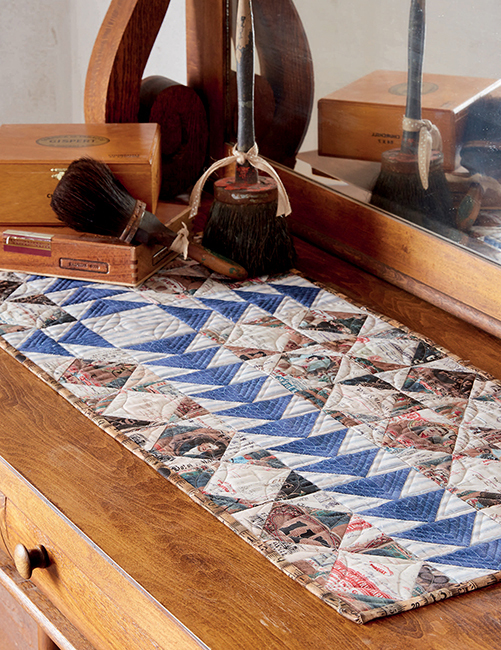 Great to see modern designs intermixed with traditional piecing. I’m a big fan of colour instructional diagrams and this book has them in spades! 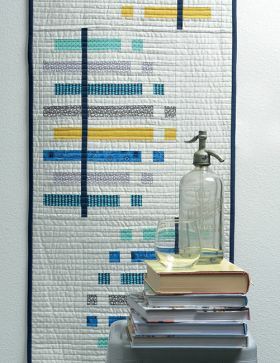 I can honestly say a couple of these are going to end up as wall hangings. 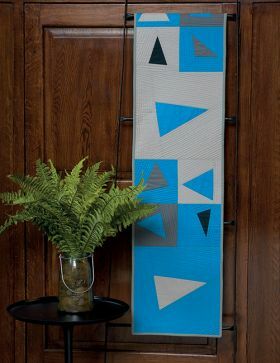 It's great to see a book that mixes designs that could be said to be'traditional' with modern designs, so there's something for everyone. I also like that there are hints and tips for each project, which help to head off any user errors! Looking forward to making quite a few of the projects, once I decide which can go first. 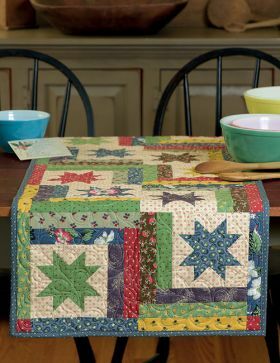 Amelia Johanson is a University of Missouri graduate with degrees in journalism and home economics. 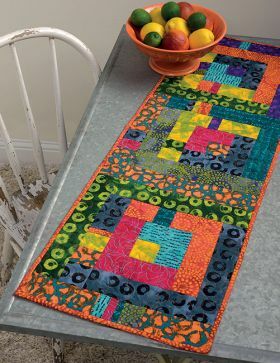 She has been blessed to combine her passions for both the written word and fabric in her roles as a newspaper fashion writer, a sewing-magazine editor, and currently as an acquisitions and development editor at Martingale. Sewing is her go-to stress reliever.